We enjoy reading the profiles on our Guides page. Seriously. They’re impressive reads by and large. If ever lacking inspiration, reading a few of those reminds us of what’s possible. In the hiker world, some of these people are rock stars. Even the humble beings who think otherwise, compared to most ordinary non-hiking mortals, they stand extraordinary. We’re proud they chose us and to be associated with them. We like taking the time to talk them up and brag about the cool stuff they do. 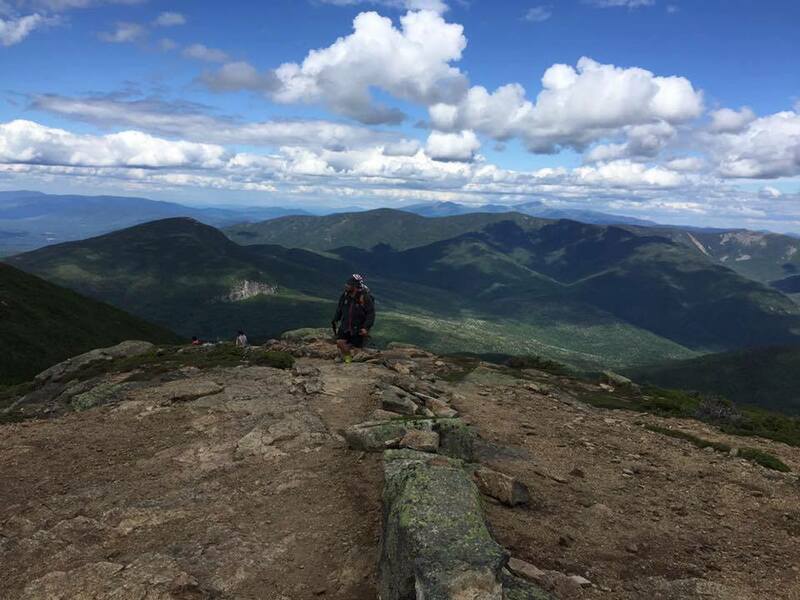 Case in point: Redline Guide Álvaro Marques just completed a one-day “Pemi Loop” hike. To be fair to the others, he’s not the first. I will be corrected if I’m wrong, but Bill Robichaud has also done one, as has Arlette Laan, Ryan Welts, and Kristina Folcik. These feats aren’t even brought up on the aforementioned profiles unless record-breaking. In any case, they managed their efforts pre-here-and-now, making Álvaro the most recent in the Redline family to accomplish this amazing feat. So this post is his. Literally. Despite being a little tired, Álvaro quickly shared his thoughts with me, us, everyone, in this piece he put to paper, so to speak, while the painful details were still fresh in his mind. Thank you for this. Tron of the Lincoln Woods or Electric Light Avenue. …so what was I doing in Lincoln Woods Visitor Center waiting for two more friends? This question crossed my mind several times during this 4th of July, while we were attempting the wicked 31.5 mile Pemi Loop, across eight 4000-footers, and over 9000-feet of elevation gain. 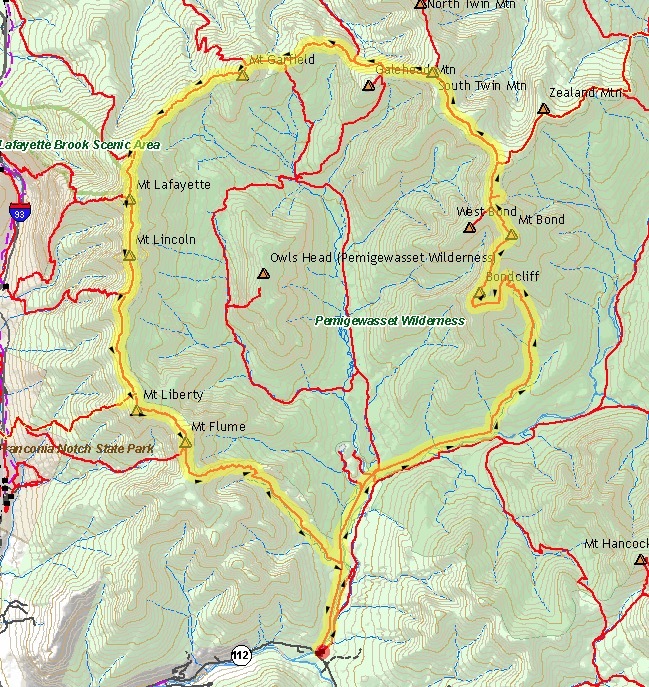 The Pemi Loop. Rated hard as hell when done in a day. We opted for the counterclockwise direction to make sure we would be on top of Bondcliff for the sunrise, and what a sight it was. The first 9 miles were divided between a muddy Lincoln Woods trail and acceptable water crossings. 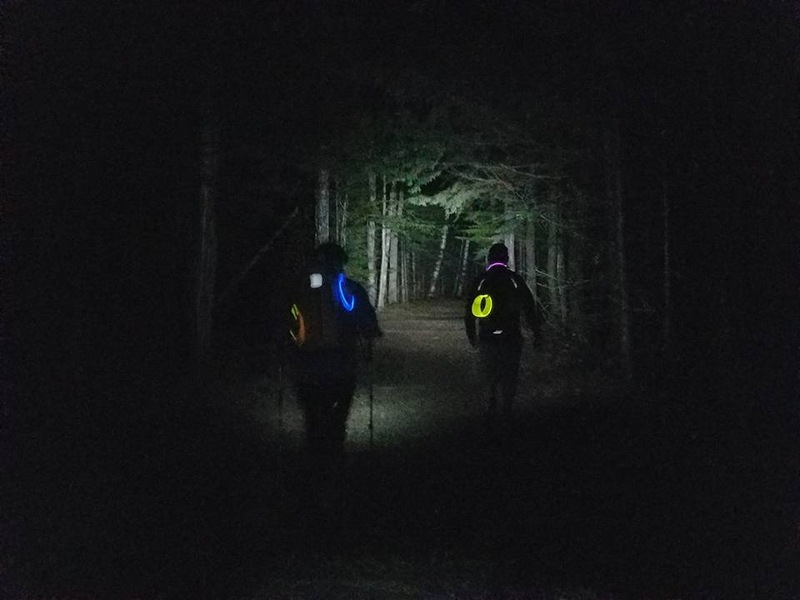 We also had multi color glowing sticks on our backpacks. 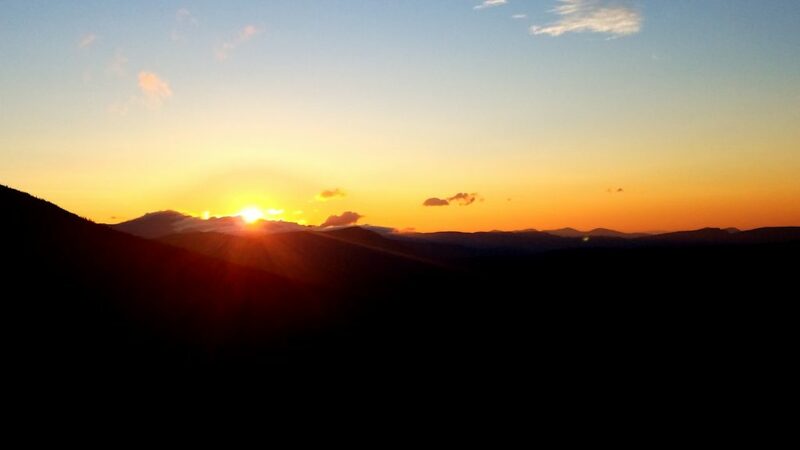 Sunrise on Bondcliff. This is a special thing. The next stage was to get to Galehead hut for a rest. 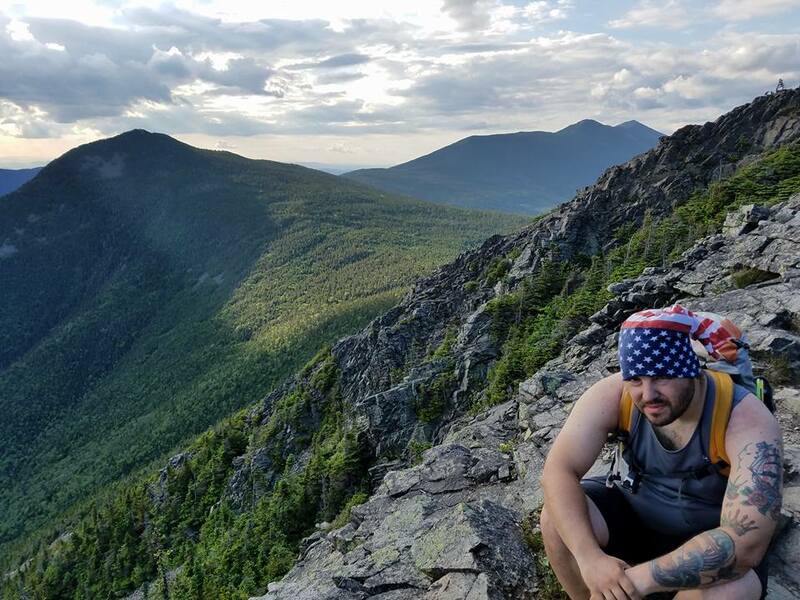 Along the way we met some other known hikers, enjoyed the pristine views to the east and Pemi bowl, and I got to finally do the two mile section between Mt Guyot and South Twin Mountain. I must say [it was] the most enjoyable section, with vibrant greens contrasting with the brownish trail. Around 11:00am, at the hut, besides resting and having some extra food, I changed to dry clothes and what a difference it made for the next stage. Unfortunately there was no lemonade this time — every AMC Hut should have lemonade all the time! Putting Garfield Ridge behind them. Feeling more comfortable helped me psychologically as well, but getting to Garfield and then Lafayette was indeed the hardest part of the day. I had been wondering about this section for too long and had to put my fears away once and for all. The hike to Garfield was just preparing us for what was coming next, rocky terrain, wet, steep sections and six false summits before Lafayette. At this point we were noticing a lot of more people on the trails, from AT thru-hikers, multi-day backpackers, and the traditional peakbagger due to the time of the day. I must say that if [hiking partners] Jaime Bernard and Mike McLaughlin had not been with me things would be different. We paced each other along the way, shared ibuprofen, and the joy surpassed the pain most of the time. 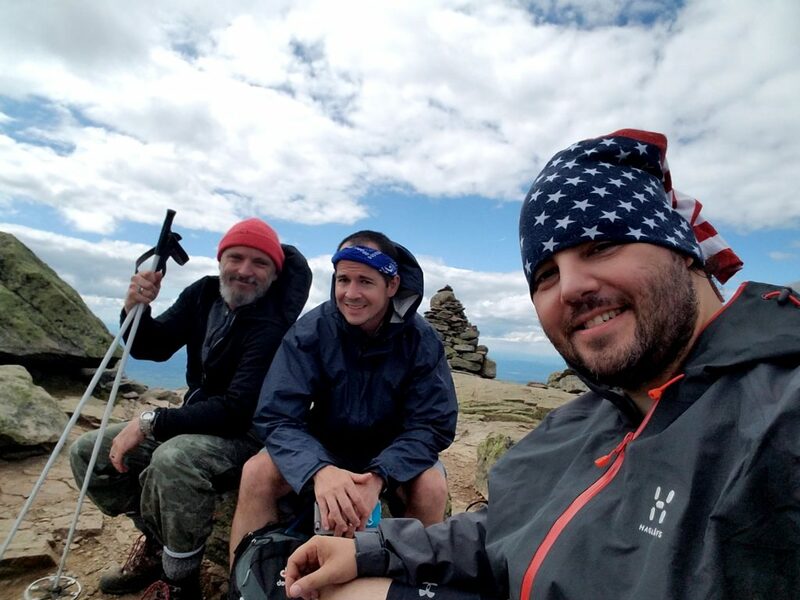 On the summit of Mt Lafayette L-R: Jaime, Mike, and Álvaro. 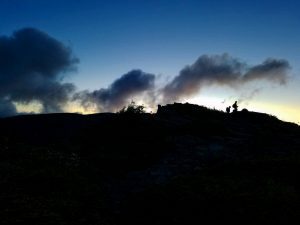 Reaching Mt Lafayette almost felt like a milestone but there were still miles and miles to go across Franconia Ridge, one of the most iconic trails where one sees a lot of people on a sunny day, in all hiking conditions. Unfortunately, Mike had to leave us, descending through Falling Waters Trail while Jaime and I braved the last miles. The last push up to Mount Flume made us swear a lot! From this point 5.5 miles down including the Osseo Trail ladders. Still the last 3 miles felt a lot more than that — we were tired, hungry, and just wanted to be done with it. At 9:02pm we reached the bridge, 20 hours and 40 minutes after. We went beyond our comfort zone and the feeling of accomplishment could not be sweeter than this. One more crossed out from the bucket list — Single Day Pemi Loop! Five-and-a-half miles to go and Álvaro is digging deep. Wow, thank you for sharing your amazing journey. Congratulations to the three of you! And Álvaro… well you just make us so proud with all you’ve been doing. Keep up the good work!